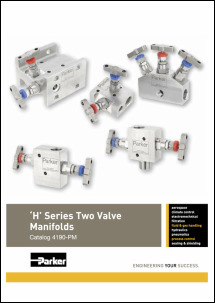 Comprehensive range of Two, Three and five valve manifolds for pressure and flow measurement applications. Direct or remote mounting options. CCIMS supports the direct or close coupled’ connection of one of the most common types of process instruments – differential pressure (DP) transmitters – to process pipework. 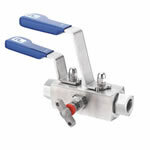 CCIMS combines an instrument manifold and a pipe interface (including isolation valves). 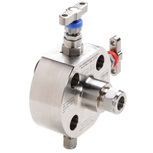 This manifold range is designed to replace conventional multiple-valve installations currently in use for interface with pressure measuring systems. By combining customer specified valves into a single manifold, the number of leak paths is considerably reduced and the mass of the system is lowered reducing the stresses from loading and vibration. 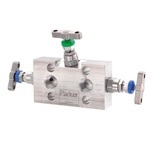 Parker's 2 Valve Block and Bleed manifolds offer superior performance with a comprehensive range of remote and direct mount manifolds to suit all types of instrumentation installations, specifications and applications.